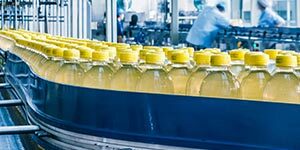 Visit us in Munich at drinktec – from 11 to 15 September 2017 in Hall A3, Booth 534. VEGA Grieshaber KG is presenting new as well as time-tested sensors for measurement of level, point level and pressure. Use this opportunity to learn about our sensors, related services and software. VEGAPULS 64 is a sensor that simply measures right past vessel internals such as agitators or heating coils. And one that is not affected at all by condensation and buildup. In short: A sensor that heralds the beginning of a new era in measurement technology. VEGA pressure transmitters measure the electronic differential pressure with the VEGABAR series 80 simply and flexibly. Ideal for level measurement in pressurized containers and fermentation vessels. The display and adjustment module PLICSCOM with Bluetooth allows wireless setup and commissioning, measured value display and sensor diagnostics via smartphone or tablet PC.